These are just some of the books bought with the proceeds from the second hand uniform sale which was run by the Parent Council at the consultation evenings. Some very wonderful cakes on sale at today's end of term cake sale. This is now fully booked on all days, so we can no longer accept any late bookings. Remember to bring in your sponsorship form on Friday for the mammoth fundraising day! Don’t forget to bring in items you may need to help you do your event (as agreed with your class teacher). Good luck everyone and thank you for all your efforts in gaining sponsorship. All proceeds will go towards items for the children at school. The staff will also be doing a sponsored event afterschool on Friday, so everyone is taking part. We would encourage all families to walk to school this week if possible. Perhaps those who normally drive into Framlingham could park on the outskirts of the town and walk in from there. Just a reminder that class KVNS share session is THIS Thursday – parents should please sign in at the office at 1:20pm. On Friday remember to bring some pocket money as these two classes will be baking for the Friends end of half term cake stall in the Playground pavilion. Please make sure that the gates to the playground and school site are shut during school hours 8.50am – 3.00pm. If you are one of the last ones leaving the playground please ensure the wooden gates are shut behind you, as well as the blue metal gates on the drive. We would like to thank the Great Glemham Schools Trust for the recent grant that has enabled us to purchase some wonderful new portable music stands. We are having a book amnesty for any school books you find at home over half term. In addition, Mrs Colchester is missing books that have been borrowed on Bereavement, Divorce and Serious Illness. Please just drop off any that you find to the school office. Thank you. Mr Jeffreys (Head of Year 7) and some of the form tutors from Thomas Mills High School are coming in on Friday 6 June to meet the year 6 pupils individually in preparation for the move to High School in September. Just a reminder that all parents of the Year 6 children going to camp should come along to an important meeting with Mr Brook on Tuesday 10 June in the school hall at 6pm. Please can we ask that all children bring their school sweatshirt with them on Thursday 12 June for the class photos. Thank you. DEADLINE FOR HALF-TERM PAYMENT IS MONDAY 9 JUNE. SO THE CHILDREN START BACK on TUESDAY 3 june. The first round of house cricket matches saw Howard enjoy a fine win over Hitcham by 34 runs. The other match proved to be much closer with the result in the balance in the last over. In the end Oli Mayhew struck 2 boundaries off the last few balls to give Mills a 10 run win over Bulstrode. On the morning of Friday 16th of May, the year 6 classes gathered in the school hall for Fun Maths Activities. We were surrounded by 14 tables with activities for us to do, to progress our maths in a fun way as SAT’s were over. We were put in groups of threes and then we set to work solving the problems. Some of them were to do with division, some to do with brackets or multiplication, and some simply to work together as a team. One of us had to read the instructions off an instruction sheet, one had to do the problem and the other had to time the person doing the activity. The question had a time limit- 4 minutes, 3 minutes or 2; it depended on how hard the question was. The activities were placed in the courtyard as well as the hall. Some of the problems were really difficult- such as a puzzle called The Mask. There were 12 pieces of a puzzle of an African mask that we had to put together in 3 minutes or under. This puzzle was to do with teamwork and listening to each other. The person with the instructions had to read them out to the person doing the problem, in the best way they could without showing them the sheet. It took teamwork. There were also easy questions such as a problem where you had 4 mathematical symbols (=, +, x and division). You had a sheet with numbers on it which, if you put the symbols in the right place, they would equal 100. It was an exciting, fun way to spend our morning whilst doing maths, without getting bored and everyone enjoyed the experience. Most of us, we would think, would like to do it again sometime. Thanks to Mrs Beddow for organising it. We only have spaces left for Tuesday 10 June for the Dads to Lunch. Deadline for all bookings is tomorrow. Any bookings & payment we recieve for Weds or Thurs will be returned via your child. We cannot accept any further bookings for Dads to Lunch on Thursday 12 June, after the ones handed in today. We will return any slips for Thursday bookings that cannot be fulfilled - please reselect either Tuesday or Wednesday as a replacement choice. We have most spaces left for Tuesday 10 June. Thursday nearly full... please book for Tues or Weds if possible. Please Note: CA LC & JC will be out on a trip on 10 June - so avoid this day if you have a child in these classes. In light of past successes, this year we are running ‘Bring your Dad to Lunch’ on three days. Due to the expected numbers we ask that dads come on just one of these days, if you have more than one child at school you can all eat together. Please fill in the reply slip and return it to the office, with the money for the adult meal only, by Tuesday 20 May at the latest. The catering team need to place their orders the following day; therefore we are NOT able to accept any late requests. Children should bring in their money as usual on Monday 9 June for lunch arrangements for that week. The costs of school lunches for Dads are £3.32. On the reverse of this letter is a menu for the 3 days for your information, however please state on the reply slip if you are choosing the VEGETARIAN option. On the Day.....We would ask dads to sign in at the hall foyer and wait there for their child/ren to collect them at 12.00pm to take them into lunch…. Unless you would also like to take part in ‘Dads to Read’ – see below. …on the same day ‘DADS TO READ’ As a new venture this year we would welcome dads to come in a little earlier if they would like to read with their child in class. We view this initiative as an integral part of the development of your child’s reading. If you wish to do this, then come in at 11.40am to spend the time in class before going to the hall with your child for lunch. Could we remind you that unfortunately you will not be able to park in the school car park due to lack of space. We would ask that dads do not stay after they have eaten lunch; at this time the children will go to the playground and we ask that you sign out as you leave. We would also welcome your feedback on the forms outside the hall when you have finished. With this letter please find a Scholastic book leaflet; please get your order back to the office by next Monday. We are afraid we CANNOT accept cash, so please pay by cheque (Scholastic Ltd) or complete the credit card part of the order form. We would like to advise you that children from Year 1 – 6 will undergo SATs tests and internal tests during next week and into the week after. Please can we ask that parents exit the school buildings and grounds as soon as possible after the children come in in the morning. Look out for the letter coming home shortly to book a place for Dad’s to come to lunch with their children on one of 3 dates in June. In addition to just having lunch, this year we are offering Dads the chance to come in a bit earlier to do some reading with your child in class. The lost property box at the top of the Nursery stairs was so full that we couldn’t fit any more in! The Eco Council have sorted through it and will return any named items to the pupils. All unnamed items will be put out on a table in the front playground pavilion on Thursday after school, so if your child is missing any uniform, PE clothing, coats, accessories or footwear, or any snack boxes then please can you come to reclaim your items. Any items unclaimed will be sold at the next second hand uniform sale, or given to a local charity shop. DOES YOUR CHILD LIKE MAGIC? The Friends are planning to organise a magic show (games, magic, puppets and juggling) for Foundation and KS1, and a magic workshop (a show and teaching the children some tricks) for KS2. The estimated cost for the magic show is £3.00 per child and the estimated cost for the workshop is £5.00 per child. The magic show and the workshop would last about 1 hour each and will probably be held on a Friday late afternoon/ early evening at school. In order for The Friends to plan for this, please could you email Christina Hitchcock on tiajason@hotmail.co.uk with the ages and numbers of your children who are interested. This is not a commitment to attend; it is just to give The Friends an idea of numbers. The Friends apologize, but they are postponing the film night (from 16 May); they will either run it later in the term or they will run the magic show (see above). More details will follow. by next Monday, thank you. The cake stall before Easter was a great success – thanks go to classes KVNS & JC for the brilliant baking and also to all those who bought some Easter treats, it raised £133. The Disco at the end of last term raised a brilliant £510. Thanks go to all those parents who helped on the night. Although the new arrangements for the mornings have been working well, there does seem to be a problem with parking at around 8.40 am with lots of parents rushing to drop children off at that time. This does seem to be particularly affecting parking in Coucy Close. Please could we remind parents that although the doors to the school are not opened until 8.40am the playground is supervised from 8.30 am and children can be dropped off from that time and can come into school up until 8.50am. At the end of the school day could parents coming to collect KS2 children please wait until all the children from classes JC and LC have left the building before crossing their path as it is difficult for the teachers to make sure that the children are all together when parents are continually passing through their lines. Thank you for your support in these arrangements. All children in Reception, Year 1 and Year 2 will automatically get free school meals from September without having to register. 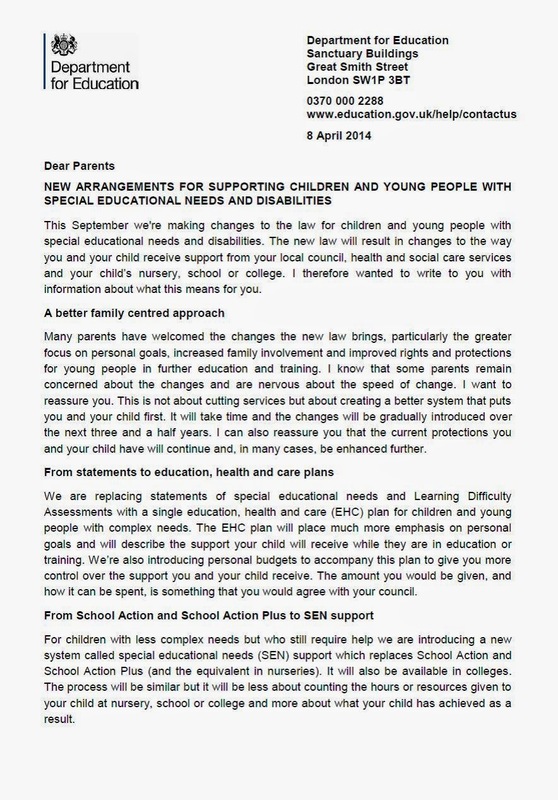 Only if you receive any of the Government benefits listed on the reverse of last week’s letter should you register for ‘FSM’ as this is the only way that schools get additional funding and the only way eligible children can receive the additional benefits that were listed on the front of the letter. The Teacher Recruitment Service (TRS) is keen to support qualified and experienced teachers who are on a career break make an effective and supported return to the classroom. A ‘Return to Teaching’ course will commence later this term - Two tutored days (26 June and 18 September), run by the Farlingaye & Kesgrave Teaching School Alliance, will cover a wide range of topics, including the national curriculum, Early Years, special schools, inclusion, lesson planning, assessment and career paths. At least one additional day must be spent in a Suffolk maintained or Academy school, to provide the opportunity to see teaching in action and talk to teachers, support staff and pupils. The cost of the course is £50.